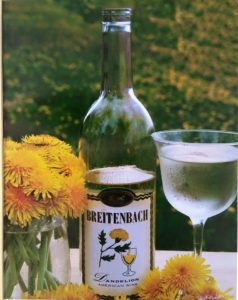 The Dandelion May Fest is held each year at The Tool Shed at Breitenbach Vineyards. The festival has been featured in USA Today and the TV Food Network. The winery makes Dandelion Wine and uses the event to celebrate dandelions. Festival participants enjoy sampling dandelion foods such as dandelion ice cream, dandelion sausage, dandelion gravy, dandelion salad and dandelion coffee. Live entertainment will be ongoing during the festival. The arts and crafts tents feature fine art and crafts with dandelions incorporated. On Saturday, May 4, we will be having our first “Chopped Challenge!” The festival is a family event. Saturday at noon children can participate in dandelion picking contests and then use their blossoms to make dandelion jelly and dandelion crowns. A 5K/10K Run will be held on Saturday May 4 at 9 am. The winery offers tours of the wine cellars during the festival as well as a special dandelion sangria. A free shuttle to and from parking will be offered. Admission is free.